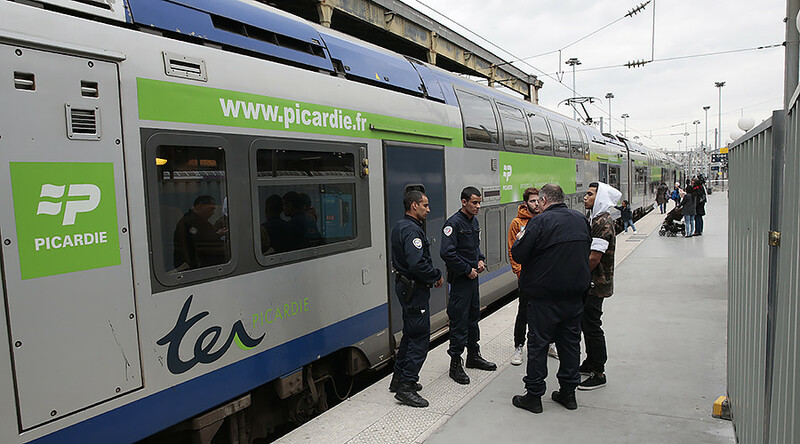 Passengers at one of the largest train stations in the French capital, Gare du Nord, were evacuated after a man threatened police with a knife. He has now been arrested. People at the station have been kept at one of the platforms, while the rest of it has been cordoned off by police on Saturday afternoon, according to reports on social media. The suspect threatened police with a knife and caused panic at the station, Reuters reported citing an SNCF railway company spokesperson. The man was reportedly ordered to the ground and surrendered to the authorities. Some people left their luggage behind as they panicked, and officers with dogs have been called to the scene to check the abandoned bags, according to reports on Twitter. France, which holds the first round of its presidential election on Sunday, has been on alert since Thursday night, when a policeman was shot dead in central Paris. The attacker had a note praising the Islamic State (IS, former ISIS/ISIL) terrorist group that contained a list of key addresses, authorities said.